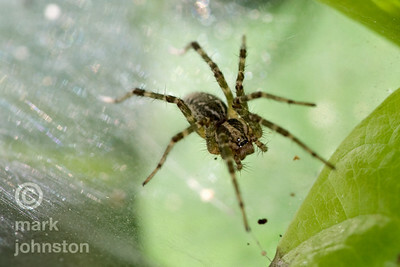 A wolf spider waits patiently for prey. 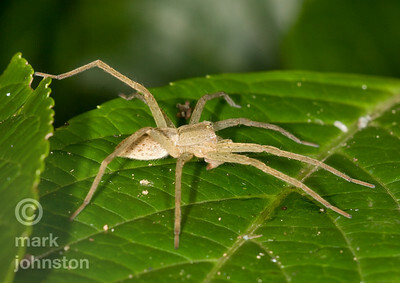 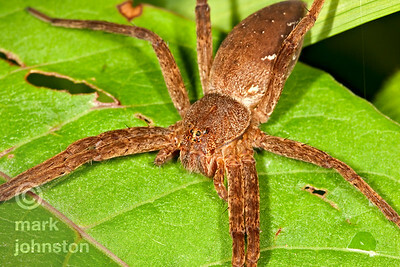 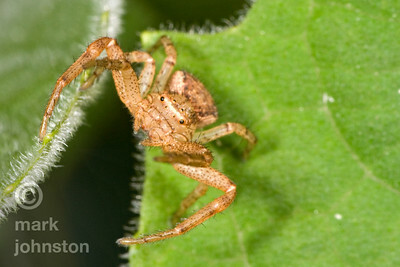 Wolf spiders have excellent vision - note the multiple eyes at the front of the head. 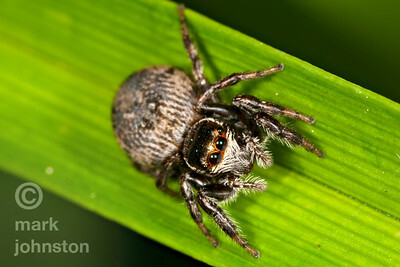 Jumping spiders like this are hunters, and are equipped with eyes around the circumference of their head that give them excellent all-around vision. 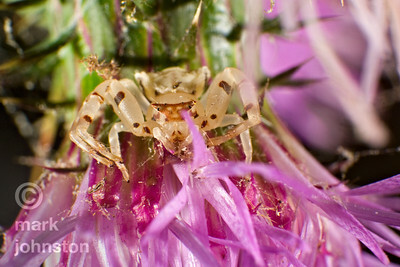 The eyes in the front of the head are remarkably large compared to the size of this tiny spider. 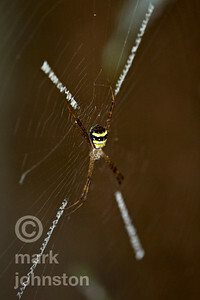 Their jumping ability is also spectacular - about 60 body lengths in a single jump [imagine if you could jump 300 feet!]. 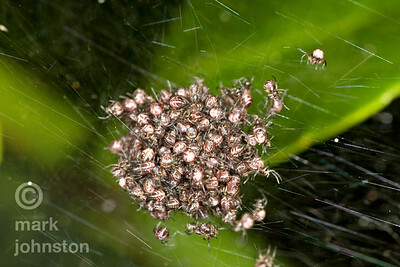 This one is pregnant. 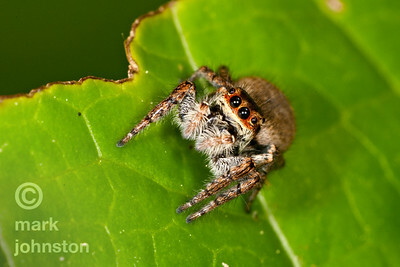 Jumping spiders like this are hunters, and are equipped with eyes around the circumference of their head that give them excellent all-around vision. 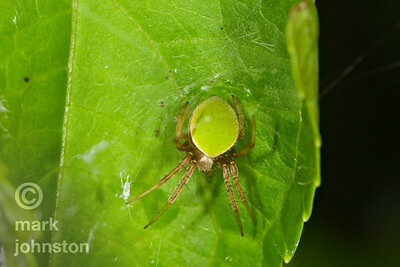 The eyes in the front of the head are remarkably large compared to the size of this tiny spider. 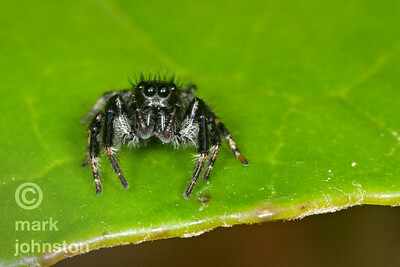 Their jumping ability is also spectacular - about 60 body lengths in a single jump [imagine if you could jump 300 feet!]. 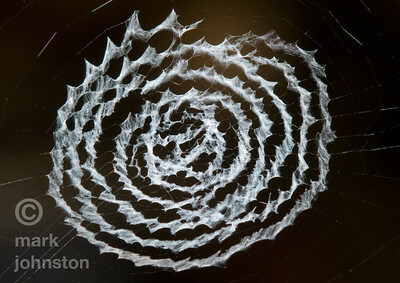 This tiny spider web is no more than 8 cm across, but it shows two very different types of silk that spiders can make - strong filaments to support the web, and "fuzzy" silk to entrap prey. 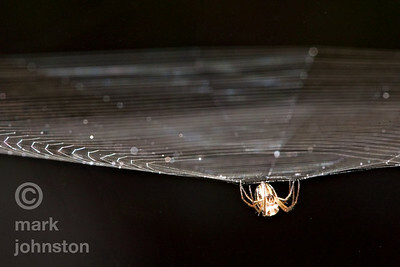 A funnel spider rests on a sheet of silk, waiting for passing prey. 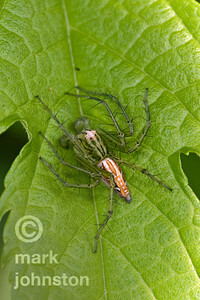 Lynx spiders do not build webs, but rather use their excellent vision to locate prey that passes close to their position. 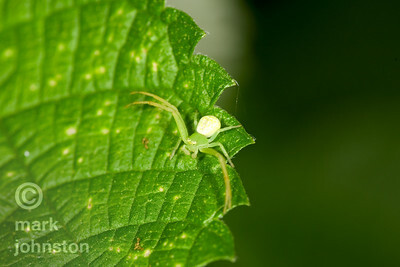 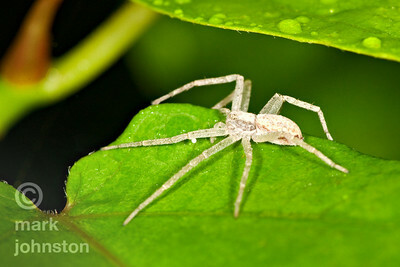 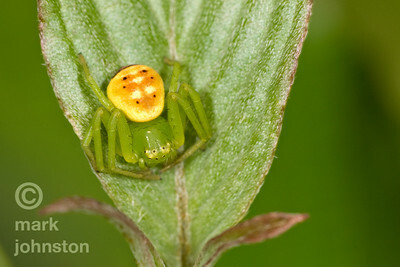 A crab spider waits for passing prey at the margin of a leaf. 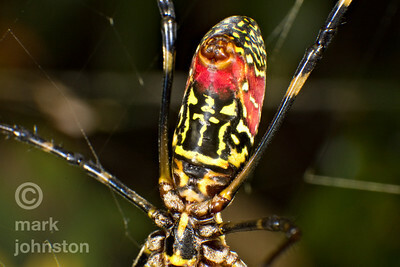 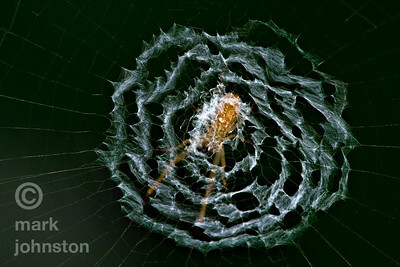 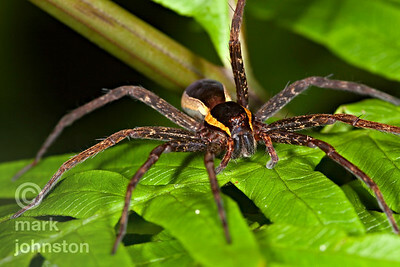 This close-up of a large orb-weaving spider shows the silk-producing spinnerets, and the small openings base of the abdomen that lead to the book lungs, part of the spiders respiratory system.